One of my absolute favorite things about creating recipes is that it’s part science and love. It’s also an adventure every single time. For the last month the Universe has been putting me through my paces as a student of cooking. Everything I’ve made has turned out 180 degrees different from what I thought it would be like but in a much, much better way. 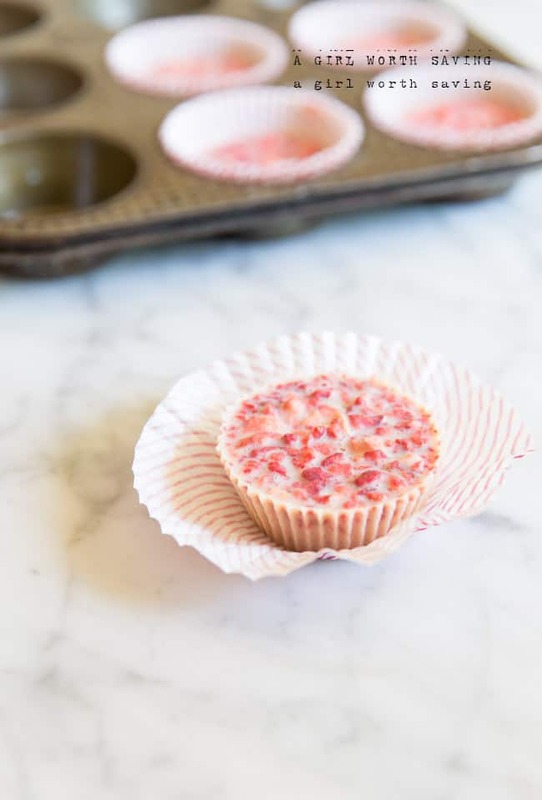 This recipe for White Chocolate Strawberry Cups is one of the ones that surprised me. I had a lot of assumptions about cocoa butter that were 100% wrong but it worked out for me. The freeze dried strawberries, coconut butter and cacao butter marry into an uncanny version of a Paleo Whatchamacallit Candy bar. I was half tempted to call it that but decided at the last minute not too. Don’t inhale these like I did! In a pan over medium heat add the cocoa butter and melt. Whisk in the maple syrup, vanilla and coconut butter and blend until smooth. Fold in strawberries and set aside. 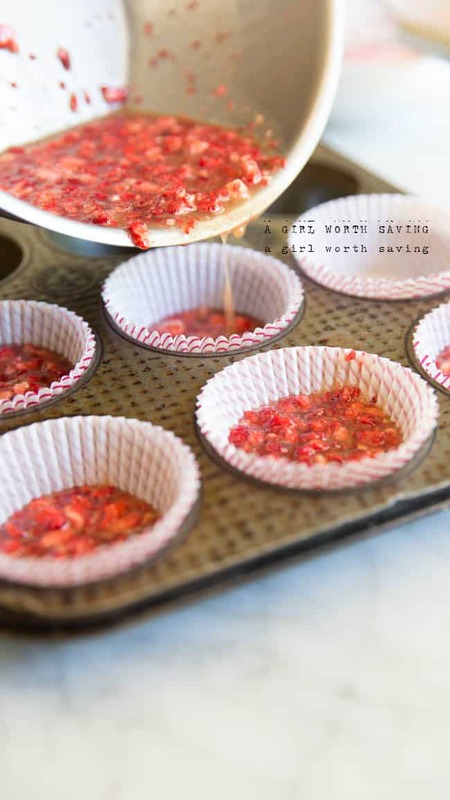 Place 8 cupcake liners in a cupcake pan and then pour in the mixture. Place in your refrigerator for 2 hours to harden. Hrmm. . I have heard that the freshness and brand do affect this. If you choose to remelt one (I would do just one to make sure this works), you can place the ingredients in a blender and whiz it for 30 seconds to see if that helps. 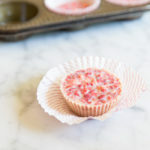 I love using cacao butter to make things chocolaty, but I still need to try white chocolate – these look dangerously good! 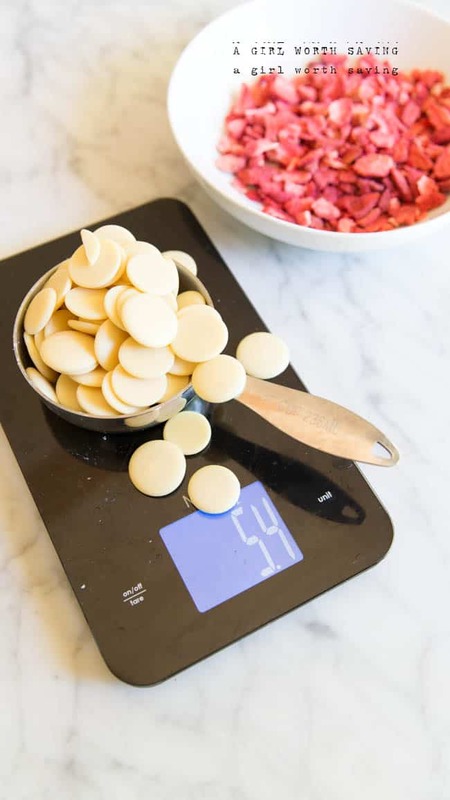 Given that this recipe is called white chocolate (normally made of cocoa butter, milk solids and sugar), can white chocolate callets be used instead of cocoa butter? Getting raw butter here in Bath can be a challenge! That should totally work Evie 🙂 I hope you like it hun. I just made these tonight and they are absolutely delicious! I used raspberries instead and they taste great. Thanks for this recipe! I love how easy they are.